People of any age and any physical development can do Brazilian jiu-jitsu. The BJJ coach from Gracie Barra Academy Elcirley Silva is a great example how it is possible to master BJJ. Silva has only one leg, but in spite of this fact, he never thinks of stopping his favorite trainings. Thus, he has got his black belt which he desperately deserves. 70-year–old Gilberto is one of Elcirly`s students who extremely enjoys jiu-jitsu. 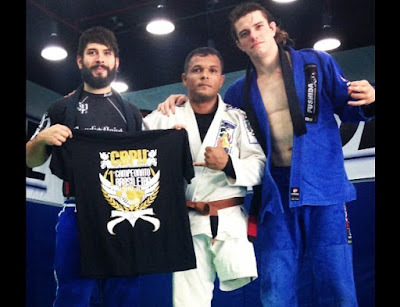 Gilberto regularly visits trainings and shows excellent results that impress his coach and all who see him on mat. Coach explains: “Mr. Gilberto is our oldest student. And yesterday he has received his third stripe for white belt. Thus, he became closer to get his blue belt”. increase in self-confidence for both men and women of all ages.